Recently I saw on TV one of those end-of-year lists of “those we have lost in 2018” — mostly celebrities I didn’t know: “hairdressers” who never did my hair, chefs who never cooked for me, musicians I never listened to, TV “stars” I never watched, names I never even heard before. One can’t know everyone, can one? A few names I knew, among them those I hope are rotting in Hell: Billy Graham, George H.W. Bush, etc. But I am also sad to mourn true stars like singer & civil rights activist Aretha Franklin — which brings me to the plethora of poets who passed on this year, more than in 2017 it seems, some internationally know, many US poet, but all too many local poets died who had graced the open mics & poetry readings we attend. 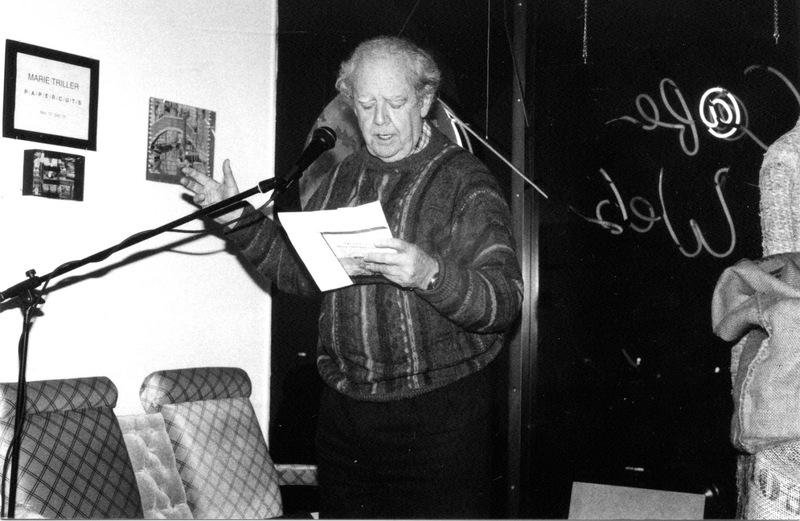 Among the international/national poets who died were: Ursula Le Guin, Nicanor Parra, Colette Inez, Lucie Brock-Broido, Sam Hamill, Donald Hall, Tony Hoagland, & Ntozake Shange. Let’s hope that 2019 will be a little kinder — but then, aren’t we all “Future Dead Poets of America”?